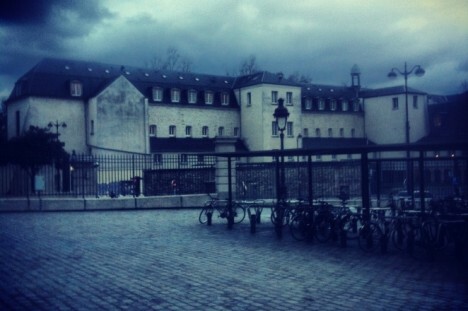 The former Récollets convent is located in the 10th arrondissement of Paris, close to the Gare de l’Est. It offers a delightful residential position in a leafy setting in a historical location in the very heart of Paris. The property is managed by Hénéo, a subsidiary of RIVP. the offices of the 4D association (Dossiers et Débats pour le Développement Durable – Projects and debates for sustainable development). The residence comprises 80 furnished studios with living spaces ranging from 25 to 125 m2, some in duplex configuration with a mezzanine giving onto the living area. The largest studios are developed into lofts. At the time of redevelopment by RIVP in 2003, the firm of architects, Reichen et Robert, opted for an open-plan design to focus on the studio space. The accommodation is allocated via the intermediary of sponsoring bodies who are signatory to a sponsorship agreement. 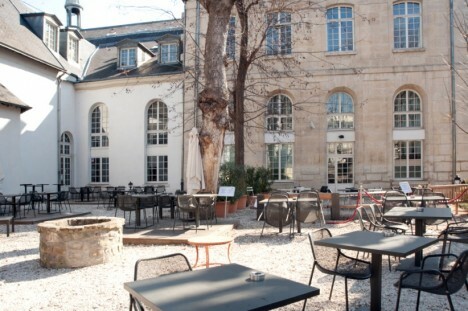 The Récollets convent is a key landmark of the 10th arrondissement that has kept pace with the passing years since the 17th century by undergoing constant facelifts. Erected in 1603, it was first home to the Récollets Friars Minor community, a Franciscan order of monks who advocated brotherhood, the duty to be joyful in the community and the universal spirit. The French government decided to make this historical site a European and world-scale reception venue for artists, researchers, intellectuals and university academics, by providing them with accommodation to facilitate their visit to, and stay in, Paris within the context of their work.